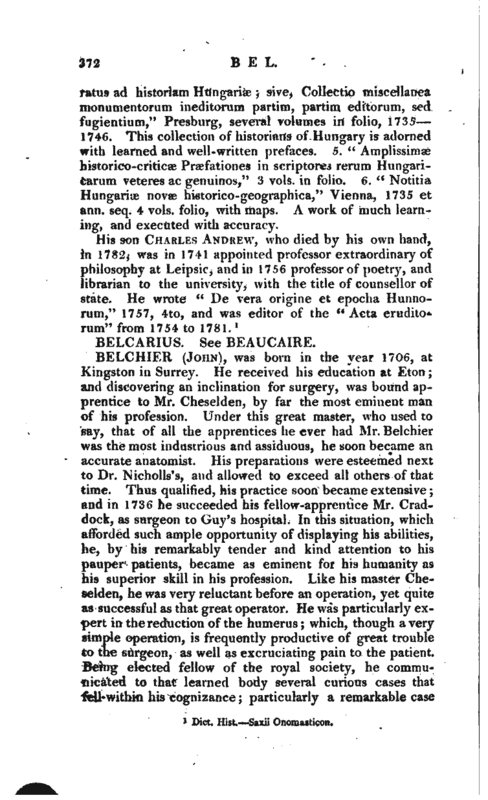 , born at Otsova in Hungary, in 1684, studied with great diligence at Halle, where he made uncommon proficiency in the learned languages. 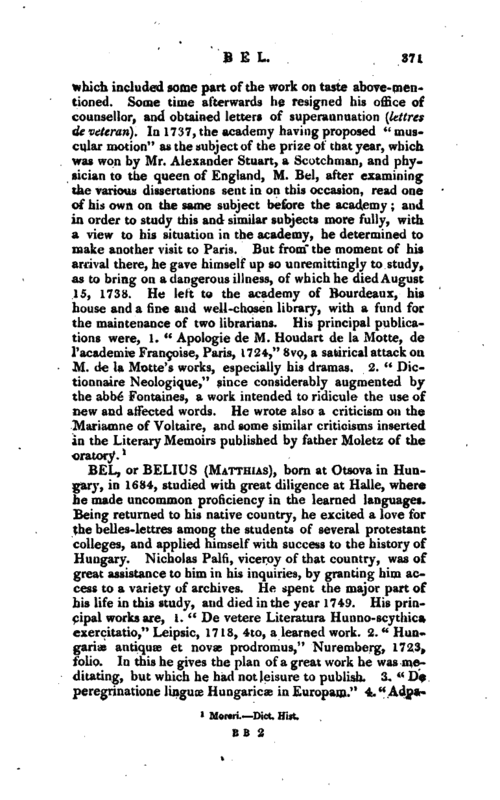 Being returned to his native country, he excited a love for the belles-lettres among the students of several protestant colleges, and applied himself with success to the history of Hungary. Nicholas Palfi, viceroy of that country, was of great assistance to him in his inquiries, by granting him access to a variety of archives. He spent the major part of his life in this study, and died in the year 1749. His principal works are, 1. “De vetere Literatura Hunno-scythica exercitatio,” Leipsic, 1718, 4to, a learned work. 2. “Hungariae antiquas et novae prodromus,” Nuremberg, 1723, folio. In this he gives the plan of a great work he was meditating, but which he had not leisure to publish. 3. “De peregrinatione linguae Hungaricce in Europam.” 4. “ | Adparatus ad historram Hungarian; sive, Collectio miscellanea monumentorum ineditorum partim, partim editorum, sed fugientium,” Presburg, several volumes in folio, 1735 1746. This collection of historians of Hungary is adorned with learned and well-written prefaces. 5. “Amplissimae historico-criticse Praefationes in scriptores rerum Hungaricarum veter^s ac genuinos,” 3 vols. in folio. 6. “Notitia Hungariee novae historico-geographica,” Vienna, 1735 et ann. seq. 4 vols. folio, with maps. A work of much learning, and executed with accuracy.